The Ceety o Dar es Salaam (Arabic: دار السلام‎ Dār as-Salām, literally "The abode o peace"), formerly Mzizima, is the lairgest ceety in Tanzanie. It is also the kintra's richest ceety an a regionally important economic centre. 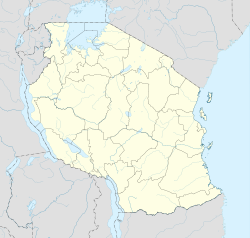 The ceety o Dar es Salaam is locatit within the Dar es Salaam Region, an admeenistrative province within Tanzanie, an consists o three local govrenment auries or admeenistrative destricts: Kinondoni tae the north, Ilala in the centre o the region, an Temeke tae the sooth. The Dar es Salaam Region haed a population o 4,364,541 as o the offeecial 2012 census. :page: 2 Though Dar es Salaam lost its offeecial status as caipital ceety tae Dodoma in 1974 (a move which wis nae complete till 1996), it remains the centre o the permanent central govrenment bureaucracy an continues tae serve as the caipital for the surroundin Dar es Salaam Region. This page wis last eeditit on 11 Mey 2018, at 05:12.